The requirement falls under amending Section 230.1, Assembly Bill (AB) 2337, authored by Assemblywoman Autumn R. Burke in 2016. Subsequently, Governor Jerry Brown signed AB 2337 into law. A sign that California is committed to protecting the rights of the countless victims of domestic assault. In addition to informing new employees of their rights, employers must provide the information listed above to any current employee who asks. The aforementioned legislation also protects victims of domestic violence, sexual assault or stalking from being terminated due to work absences. 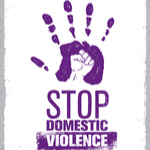 As an aside: October is Domestic Violence Awareness Month. Which, California has officially observed since 1987, according to the article. “Love Shouldn’t Hurt” is a public awareness campaign sponsored by the DVAC. Are you a victim of domestic violence, sexual assault or stalking? Or, do you know someone who has be affected by such troubling crimes? If so, Attorney Katie Walsh can advocate for you or a loved one regarding such matters. At the Law Offices of Katie Walsh, we can help both inside the courtroom and out, navigating the both the court process and in finding appropriate counseling services. We work closely with a number of experienced counselors, social workers and therapists. Please contact us today, we can help.